Imagine completing your Kailash Mansarovar Yatra By Helicopter in just 9 days – without any physical hardship and in the swiftest possible manner. It’s possible with Comfortmytravel. A passionate devotee of Lord Shiva with a profound desire to catch sight of and pay tribute at Mount Kailash and Kailash Manasarovar, yet, unaccomplished because of the absence of time can be finished at this point. Kailash Mansarovar Yatra by helicopter makes your long pending wish of visiting Kailash simple and easy and you can complete it more naturally. No need to take the treacherous road route choked with traffic. We’ll fly you to simikot on an aircraft and transfer you to connecting flight to hilsa. Morning Drive 78 km. 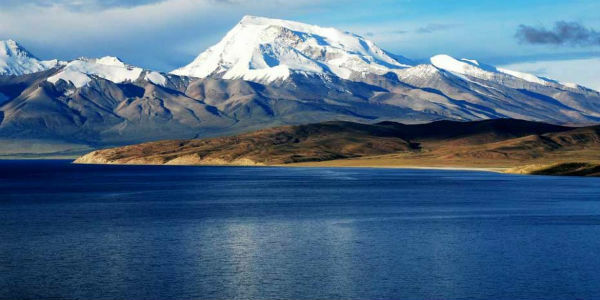 to Holy Lake Manasarovar (4500 M) and rest of day perform free for spiritual activities such as the abode of god will be a lifetime – achievement. Pooja, Havana worship, meditation, holy bath etc. Overnight stay Lodge at the shore of Lake Manasarovar. Meal plain(B/L/D). Manasorovar to Darchen 30km. (4560 m):- After breakfast drive an Hour Darchen the base camp of Holy, Mt. Kailash. Rest of day free for acclimatization and preparing for circuit ( Parikarma ). Over night at New Guest house. Darchen to Diraphuk 18km. Paikarma/Cora begins drive 10 km. cover to Tarboche(yam dhwar) and trek up to walk approximately about 04/05 hour Diraphuk (4890m). Overnight stays at Guest house. Meal plan (B/L/D). Trek to Zuthulphuk (4790m) 22km. walk approximately 08 / 10 hours – Parikarma Continues, this is the day every pilgrims talks about, the most difficult journey through out the trip, Trek up to Dolma La pass(5600m). We will offer very short prayers at Dolmala and move towards Gaurikunda. They programmed in the same as usual, Zuthulphuk overnight stay at Guest house. Meal plain (B/L/D). Early morning Drive to Nepal border, As soon as possible fly by Helicopter to Nepalgunj via Simikot and then same day connect flight back to Kathmandu . Meal plain (B/L /D). Overnight stay in Kathmandu. Daily Breakfast, Lunch & Dinner as mentioned above in the Itinerary. Charges of Yak / Pony. Travel Period : May – September. The quotation is based on Standard room. Valid Indian Passport photocopies(Xerox) of Photo page,Family details page & Address page.